Motorola successful flagship X series phones are famous for providing flagship hardware at an affordable price tag. It is quite surprising that Moto decided to ditch X series and replace the flagship line with a new naming convention, Z series. This bold step can be attributed to its motive to enter into a new era of Modular phones. 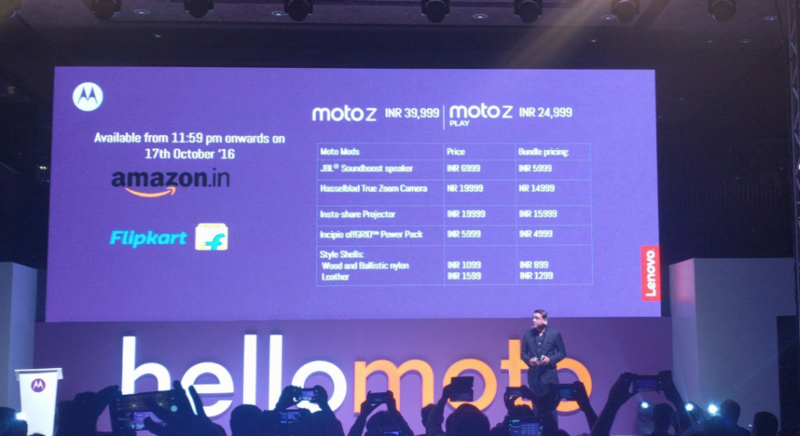 Moto Z is launched in India at 39,999/-. Question- How is the Design and Build Quality? Answer –The design is a major overhaul considering the boring design on ‘X’ series. Moto Z has an all-metal unibody design with chamfered corners and on one of thinnest phone available in the market. It looks pleasing to eyes and stands out from the crowd. That said, the camera bump on the back blemishes the overall aesthetics of the phone. It has a microphone and a slot for SIM card along with SD card on the top; USB-type C port at the bottom. On the right side, it has a textured power and volume controller buttons. On the rear end, it has a camera module, and magnets to connect Moto Mods. It has a front facing speaker and a fingerprint scanner on the front. In a nutshell, the design is refreshing and looks more premium compared to its predecessors. Answer – Moto Z has a 5.5-inch AMOLED display with 72.0% screen-to-body ratio and QHD (1440 x 2560 pixels) resolution. It is not as vibrant as Samsung Super AMOLED panel; nevertheless, it gets the job done with punchy colors and deep blacks. The display is brighter and can be used indoors without any problem whatsoever, but in outdoors the brightness should be set to the highest level to make it viable for reading the text. It has a Corning Gorilla Glass 4 protection on the top that makes it impervious to damage in minor drops. Question – What is the hardware used inside? Question – What are the Camera Specifications? Answer –It is equipped with a 13 MP primary camera with f/1.8 aperture, laser & phase detection autofocus, OIS, HDR, dual-LED (dual tone) flash. On the front, it has a 5 MP wide-angle lens with f/2.2 aperture, 1.4 µm pixel size, LED flash. Question – Does it support Full-HD Video-Recording? Answer – Yes, it supports 2160p@30fps, 1080p@60fps, 720p@240fps, HDR. Question- How is the camera performance on Moto Z? Answer –In our preliminary test, the photos taken from Moto Z are pretty good with accurate colors and good dynamic range. We are yet to test the camera to its paces so stay tuned for our in-depth camera review. Question – What are the battery specifications ? Answer – It is backed by a 2600 mAh Li-Po battery that is Non-removable. Question – Does it support Fast charging? Answer – Yes, it uses proprietary charging technology, Turbocharging, that charges the phone from 1% to 50% in 30 odd minutes. Question –Is turbocharger included in the box? Question – Does it has a USB type C port? Answer – Yes, it has a USB Type-C 1.0 reversible connector. Question – Does it has a 3.5 MM audio jack? Answer –No, it uses USB type-C port to promote music. Question –Is is a replaceable or removable back? Answer –No, but you can use Moto covers to change the look of the device. 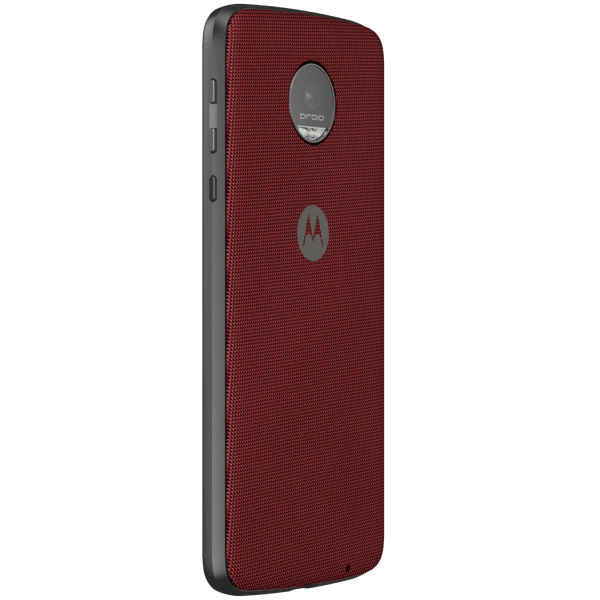 Question –What type of Moto covers are available? Answer –Fabric style shells, wood style shells, Leather style shell. Question – Does it come with a USB Type-C to 3.5mm jack converter? Answer –Yes, it is included in the box. Question- Does it has microSD Expansion option? Question-Does it has a front facing speaker? Answer –Yes, a Front-ported loud speaker. Answer –No. Its bigger brother Moto Z force has the shatterproof display. Question- Does it come with Always on display? Answer –Yes, it comes with Moto display that is similar to Always on display. Answer –Moto Mods are the accessories that can be connected to the phone with the help of magnets present on the back of the phone. Question-Are Moto Mods included in the box? Answer –NO, you need to buy them separately. 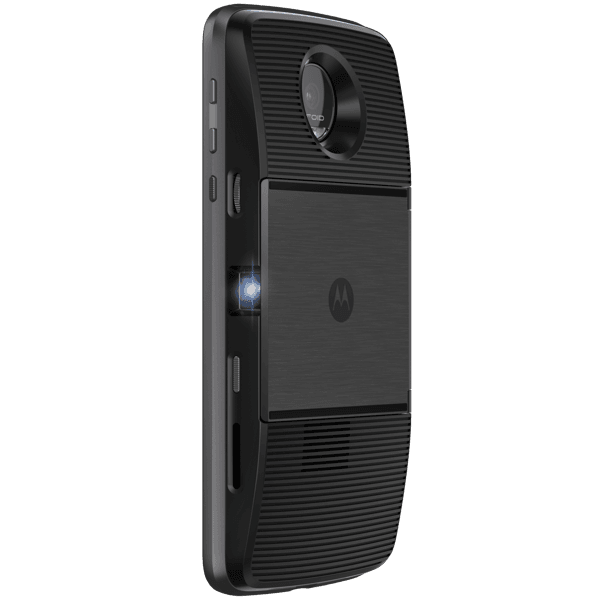 Question-Does Moto Mods block the camera? Answer-No, you can still use the camera when Moto Mods are attached. 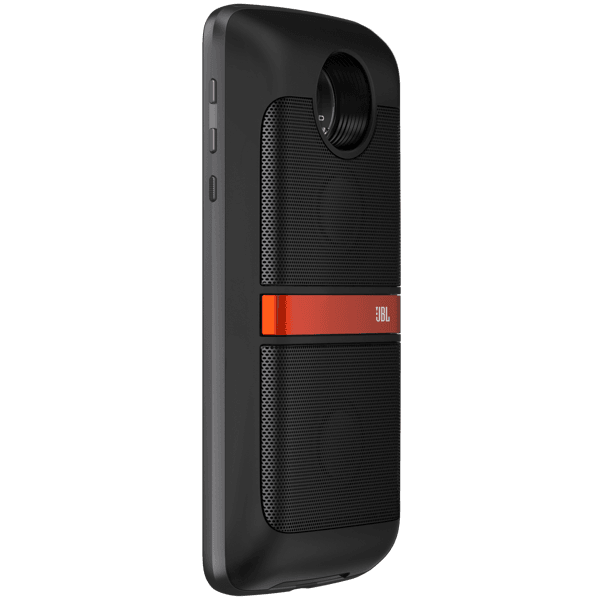 Question-What type of Moto Mods are available for purchase? Answer –As of now, JBL SoundBoost speaker, Moto Insta-Share Projector, Hasselblad True Zoom Camera, the Incipio offGRIDtm Power Pack are commercially available for purchase. Question-What is the cost of Moto Mod? Question- Does it support VoLTE? Question – What are the sensors on board? Answer – Sensors on the phone include fingerprint, accelerometer, gyro, proximity, compass, Magnetometer, Ambient Light sensor. 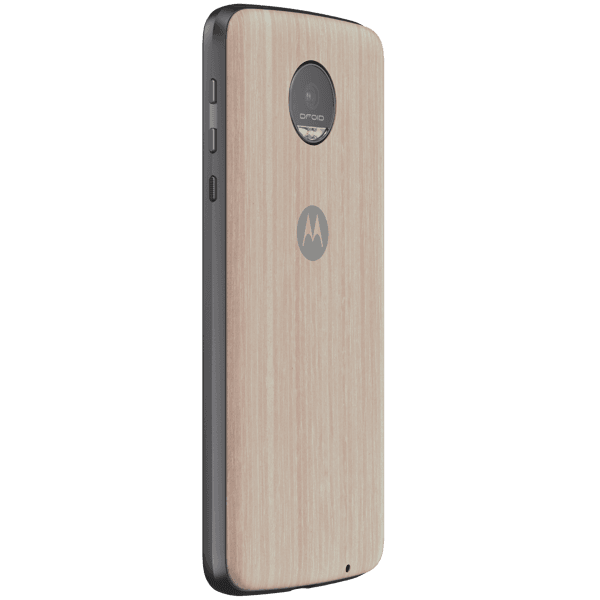 Question- What Color Variants are Available for Moto Z? 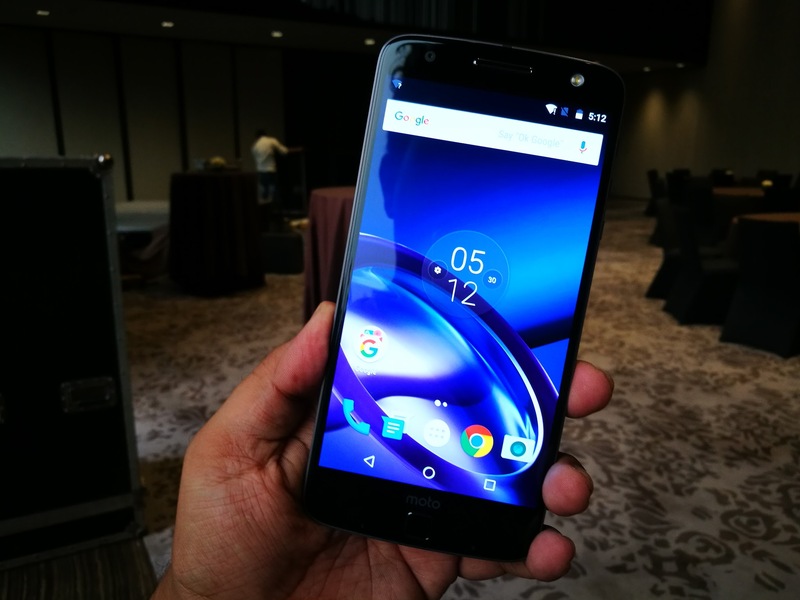 Question- What is the price of the Moto Z and its Mods? Answer – Moto Z is priced at 39,999. Question- What are the availability details of the Moto Z? Answer- It will be available from 11:59 onwards on 17th October only on Flipkart and Amazon.